Roadsides, fencerows, banks, fields, sandy knolls, river banks, often in quite wet sites. 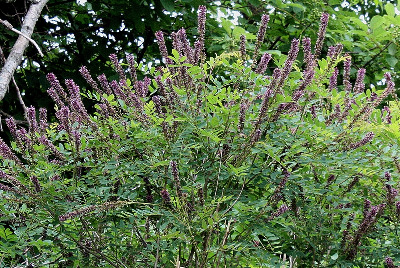 A medium-sized shrub native south of Michigan and escaped from cultivation. First collected in 1913 in Washtenaw Co.
MICHIGAN FLORA ONLINE. A. A. Reznicek, E. G. Voss, & B. S. Walters. February 2011. University of Michigan. Web. 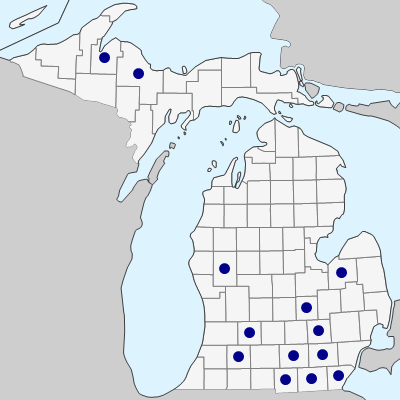 April 18, 2019. https://michiganflora.net/species.aspx?id=1268.